Today, February 4th ONLY, Amazon.com is offering savings on select candy and flowers for Valentine’s Day! 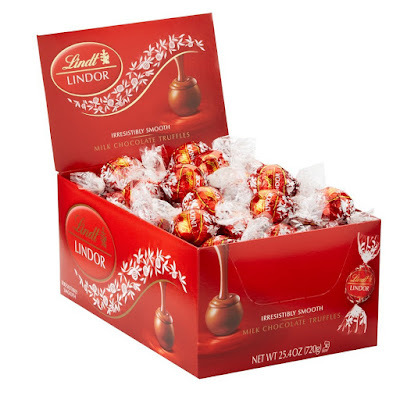 As one idea, this Lindt LINDOR Milk Chocolate Truffles 60 Count is only $10.71. That’s just 18¢ per truffle! These would be great to add to a mug for Valentine’s Day teacher gifts.